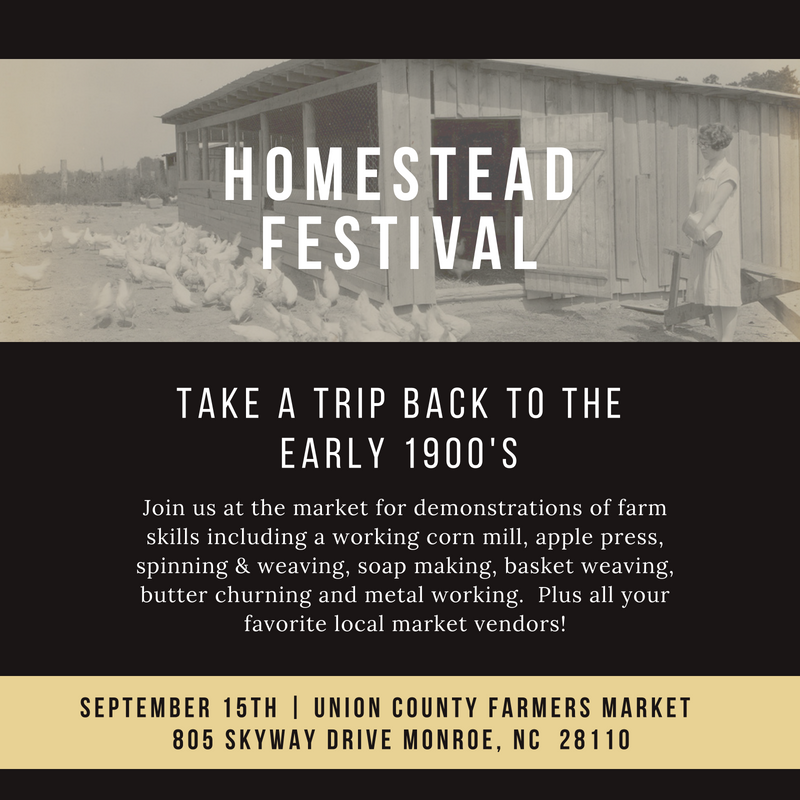 The Union County Farmers Market will be hosting a Homestead Festival to kick off this year’s Farm City Week! Join them on Saturday, September 15th starting at 8 a.m. until 2 p.m. on 805 Skyway Drive in Monroe. There will be demonstrations of farm skills from pre-electricity days, including a working corn mill, apple press, spinning & weaving, soap making, basket weaving, butter churning and metal working. Don’t forget all your favorite local market vendors will be there with fresh, in-season produce, baked goods, meats, eggs and artisan items. • Union County Farmers Market Open This Tuesday for Thanksgiving Shopping!